In Dantewada district in Chhattisgarh, there is roughly one primary health centre for 48,500 rural people. But the future of healthcare access may be brighter in the tribal-populated area as more than Rs 20 crore has been sanctioned for the health sector in 2016-17 under District Mineral Foundation (DMF), a non-profit trust set up for the benefit of people affected by mining-related operations. DMF was established in March 2015 under the amended Mines and Minerals (Development and Regulation) Act, 1957 to ensure that the benefits of mining are shared with the people of the region. Chhattisgarh, one of the top mining states in the country, has collected around Rs 2,052 crore so far under DMF. Of this, Rs 2,028 crore has been sanctioned for various projects including healthcare, clean water, sanitation and education among others, shows a state online portal for DMF. Dantewada, Korba and Raigarh, the top districts in terms of DMF fund accrual have made maximum sanctions under DMF so far. In the intitial round of sanctions, all three districts have made the largest sanctions for physical infrastructure which includes roads and bridges. 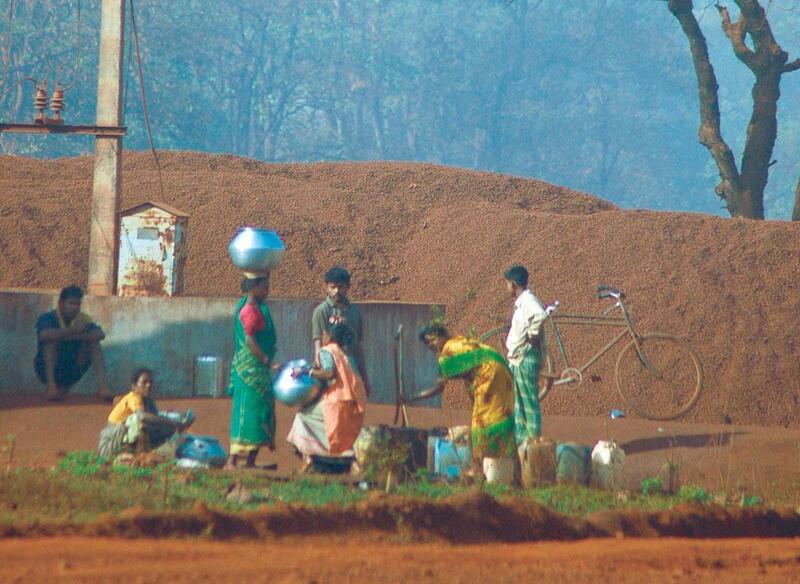 In Dantewada, which is rich in iron ore, Rs 75 crore, or 50 per cent of the sanctions are for infrastructure. Korba and Raigarh have sanctioned about 32 per cent and 22 per cent for infrastructure, respectively (See table below). In Dantewada, a total of Rs 138 crore has been sanctioned as of now. Of the Rs 20 crore allocated to health, roughly half is for establishing specialty units, paediatric and adult Intensive Care Units and Intermediate Intensive Care Units. Around 26 per cent focuses on salaries to hire staff and doctors. Since health care in Dantewada is in a critical condition, this is a welcome move. In contrast, the other two districts, Korba and Raigah, have sanctioned about Rs 18 crore and Rs 16 crore respectively for healthcare, but their sanctions are primarily focused on construction and repair of health centres. “Although infrastructure is important, shortage of doctors and health workers, equipments and medicines should be looked at urgently to ensure quality health services for the people. DMF can play an important role in bridging this resource gap,” said Dr Yogesh Jain of Chhattisgarh-based Jan Swasthya Sahyog. The initial sanction in education in all three districts focuses on construction of facilities, rather than improving soft resources such as quality teachers and other facilities in schools. For instance, Korba has given almost all of its education sanction for construction and renovation of schools buildings and hostels. In Dantewada and Raigarh as well, more 50 per cent of the education sanctions is focused on construction of facilities so far. But this may not be the way to the meet the needs of the region which has a shortage of teachers for elementary schools in all three districts. For instance, in Korba, only 23 per cent primary schools fulfill the people teacher ratio of 30:1, a basic requirement under Right to Education Act, 2009. But there are some efforts in the right direction. Raigarh, for instance, has rolled out Rs 80 lakh or 34 per cent of its education sanction for free medical coaching for girls from Scheduled Castes (SC) and Scheduled Tribes (ST). Dantewada has sanctioned around Rs 1.53 crore to address computer education, study material in model schools, uniforms for girl students and academic excursion. The district collector of Dantewada, Saurabh Kumar told Down To Earth that the district has also disbursed funds from DMF to train locals as teachers to ensure adequate number of teachers, particularly in remote areas. Less than three per cent rural households in these predominantly rural districts have access to treated tap water, according to the Census 2011. Majority of people in these districts rely on groundwater resources such as hand pumps and tube wells. However, the groundwater is contaminated in all these districts, according to the Central Ground Water Board. More so, the ground water table is also depleting, making hand pumps redundant. So far, only Korba has started making investments towards sustainable water supply measures from surface water and other natural sources. The district so far has sanctioned about Rs 60 crore each for water supply and sanitation. More than half of the water sanctions are for works for piped water supply to mining affected villages. For holistic development, the districts need to invest to create and improve employment or livelihood opportunities around local resources. Social welfare also needs to be secured for vulnerable groups. In its previous analysis, CSE had noted that big roads and bridges should be funded by the general budget of the state. DMF plans should rather converge with other government initiatives. Being India’s most ambitious resource sharing plan for mining districts, it is imperative that district administrations make comprehensive plans, engage people, and identify their needs collectively, CSE suggests. While infrastructure is important, the sanctions should not be limited to that, and must look at generating adequate resources to improve quality and access of key public services. In that regard, Korba is re-examining issues and will be making a five-year perspective plan in line with the district's needs to sanction funds accordingly, says the district collector, Mohammad Qaiser Abdulhaque.